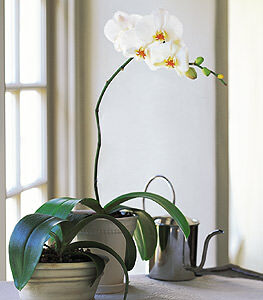 This lovely white orchid, also called the Moth Orchid, blooms up to two full months. Makes any occasion all the lovelier. One white phalaenopsis orchid arrives in a ceramic planter with bark chips. Note: This item may require 24+ hours notice in some areas.